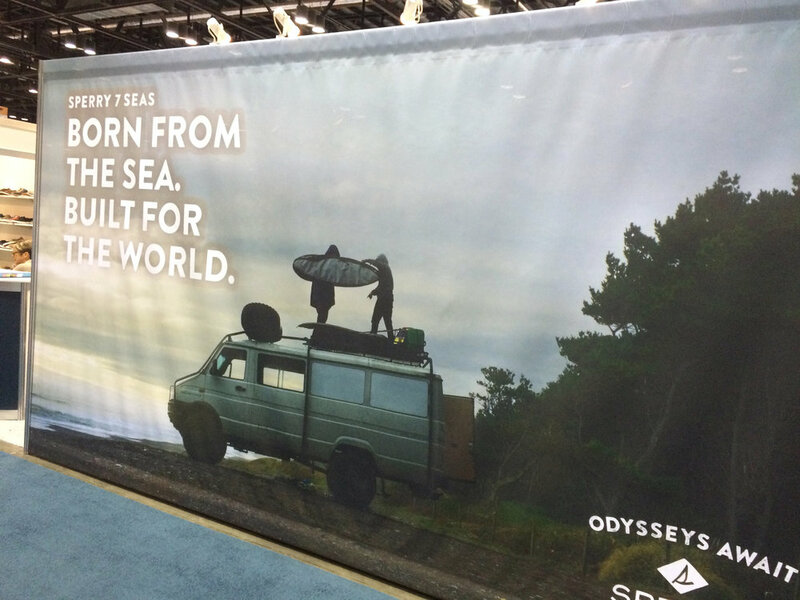 Here are some inspirations from around the show floor from the latest Surf Expo. Always got to pay my friends at Jetty a visit. They always decorate with the coolest salvage materials you want to steal. 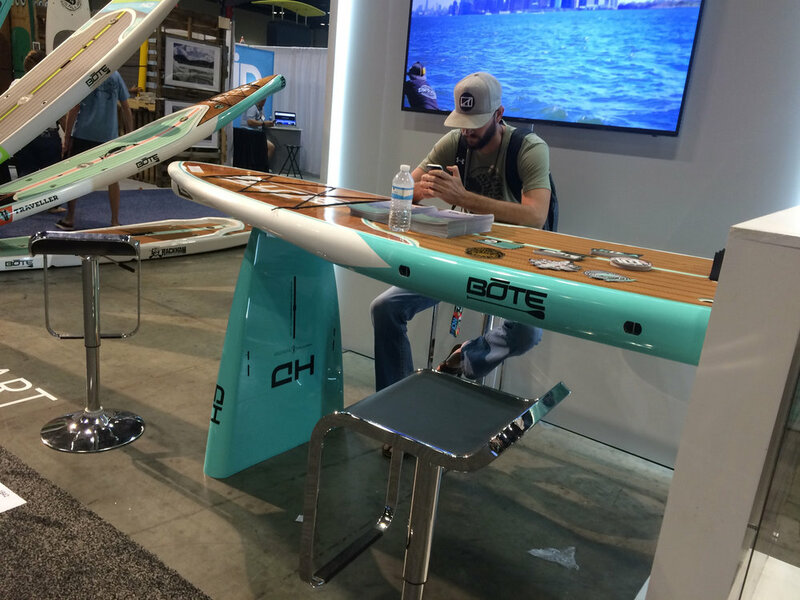 Bote flipped the standard SUP booth and mounted boards horizontally, chopped boards in half and even made a few into tables around the booth.